This story was featured in Insider Magazine. We all know that Health and Safety is a serious business. In fact recent tragic events have been a wake-up call to all of us. 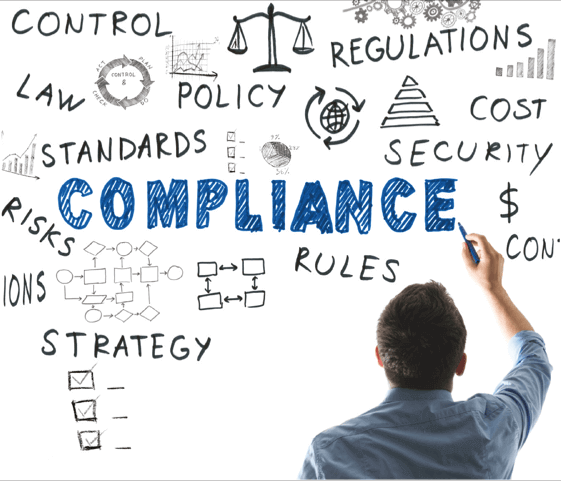 Managing risk and compliance is not just a matter of paying lip service but is an absolutely critical part of all business practices and processes. There can be a temptation to create separation between such an important subject and a company’s core activities. This isolationist approach has generated widespread negativity in attitudes towards health and safety professionals and their initiatives. Too often the claim is made that ‘the job gets done’ in spite of the efforts of health and safety personnel. It is vital to have robust safety management systems in place that provide good evidence of compliance, and ensure that employees genuinely embrace a positive safety culture while following safety policies and procedures. 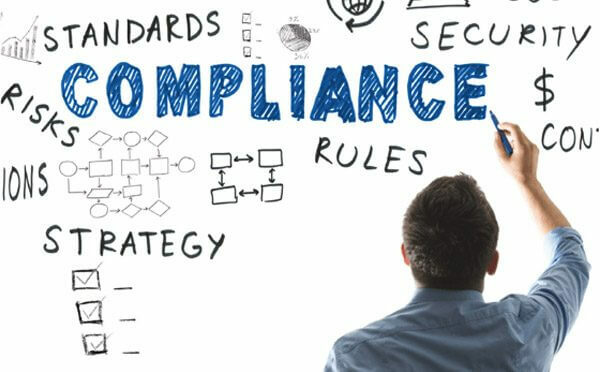 However, it has long been problematic for organisations to provide employees with an up-to-date system that adequately addresses all risks and allows them to record any changes, communication briefings or incidents. It has also been difficult to evidence that a risk assessment has been viewed, and where necessary, amended to address relevant issues. Where business operations are being carried out in the field and in remote locations, how do you ensure that health and safety processes are being followed and documented? The new Corporate Manslaughter and sentencing guidelines mean this must be a priority for all businesses. It is all too easy to prosecute after an accident if it can be proved that employees have not followed safety procedures. Just as mobile technology has transformed the way we manage our consumer lifestyles, the latest mobile workforce apps not only provide a superior way to plan and schedule, but are embedding health and safety into the daily workflow of business, so that it absolutely becomes « business as usual ». These new apps are enabling health and safety documents, permits and schematics to be uploaded when planning jobs and projects in the back office, whether they be part of a wide range of standard activities or are project specific. These can include cable plans, risk assessments, work instructions, safety briefings, work-permits, Risk Assessments and Method Statements (RAMS), COSHH assessments and step-by-step job guides. The challenge of collating, printing and successfully distributing such documents is met with a new-found ability to instantly send and share with the relevant parties. This means that employees can access, complete and evidence that all health and safety requirements have been met. If a risk assessment has been drawn up for a task, all employees involved will use the mobile workforce app to confirm they have read and understood it, ensuring that the workplace is safe and all necessary controls are in place. Risk assessments can also be altered and re-briefed by team members. Systems record the exact time that documents are viewed and comments are made. This is integral to the general briefing of the task, not separate from it, and provides safety training and communication while sharing responsibility for safety with all employees. This integrated way of working has enormous health and safety benefits. It gives employees the responsibility of evidencing that they have read relevant safety information, and enables them quickly and efficiently to report on the work that they have carried out in the field (along with any issues encountered). Workflows are mandated to ensure that checks, inspections, work and driving are carried out in the correct order and non-conformances can be raised and resolved. The work flow is halted if at any time there is non-compliance – alerting the office team and managers in real time and dynamically. This connected way of working can also have a positive impact on a company’s insurance claims profile. Photo capture on smartphones or tablets promotes claims defendability by allowing photos to be taken, before, during and after work and attached to job cards (with all photos time and location stamped), reports and other documents. For example, an engineering team working with underground cables could attach photos of any cables that are identified as being not contained on drawings provided by the owner, or shallow cables and cables in concrete. Some systems like BigChange also allow you to maintain up-to-date vehicle records (including trailers, plant equipment or other assets), detailing planned and unplanned services, defects and dates of maintenance activities such as MOTs. If any maintenance dates are exceeded, management receive proactive alerts, ensuring that issues are managed and resolved. These systems record evidence of a proactive safety management system and servicing policy, helping to improve health and safety standards and protecting both employees and the organisation itself. The addition of integrated tracking of vehicles protects drivers by confirming time and attendance and monitoring lone workers during unsociable hours. Where accidents occur elsewhere in the organisation, it’s critical that you are able to rapidly distribute updated briefings and safety messages to both office-based and mobile workers. When implementing a system, you should look for integrated alerting, with the ability to record the time and date at which the messages were read, signed and acknowledged. It is also essential to take into account driver behaviour. According to Brake, the road safety charity, up to one in three road crashes involves a vehicle being driven for work. Every week, around 200 deaths and serious injuries involve someone at work. Indeed, for the majority of people, the most dangerous thing they do whilst at work is drive on the public highway. Recording and analysing driver behaviour can be used to proactively engage employees and to improve the quality and safety of driving by highlighting areas for improvement. In addition, when work is scheduled effectively, it minimises the risk that employee will be running late and so reduces the temptation for drivers to speed by. Poor routing and scheduling puts pressure on your workforce to meet deadlines that are unrealistic and could encourage the wrong behaviours. In conclusion, the latest mobile workforce management apps and systems will greatly enhance any organisation’s safety management, by providing ready access to documentation, regular updates and instant communication between work teams. One of the greatest risks in any workplace is how instructions and requirements relating to safety procedures and risk assessments are communicated to employees. Organisations must adequately review and correct any issues, and communicate updates after accidents or changes in procedures. They must also have a reliable way of recording evidence that these health and safety procedures are being followed, and that such monitoring is taking place. Systems like our 3-in-1 JobWatch solution combine back-office planning and scheduling, a mobile app for field based workers and integrated tracking of vehicles and assets. It provides a simple and comprehensive solution to all such health and safety considerations, enabling the management of safety as well as promoting a positive employee attitude towards the subject. Mobile Workforce Management systems such as JobWatch involve all employees (and sub-contractors) in reviewing and acknowledging safety, as well as in making decisions where these are necessary. Systems like this are affordable and easy to implement for businesses across all sizes and sectors. They are both easy to use and thorough, helping to protect both employees, managers and the general public – along with your company’s reputation and brand. The risk of workplace accidents is reduced, as is the potential for costly insurance claims, and so gives your company peace of mind that every effort is being made to maintain safety. It seems likely that we are about to witness a sea-change on the issue of holding individual managers personally responsible for safety-related deaths and injuries. The Herald of Free Enterprise ferry disaster saw a first and faltering step down this path. After that, little seemed to change. But with criminal prosecutions having recently been announced over the Hillsborough tragedy, and public support for establishing accountability for the Grenfell Tower fire, it seems increasingly clear that we are entering an era where managers can expect to go to jail for failing to make use of readily-available technology which can address avoidable risks.